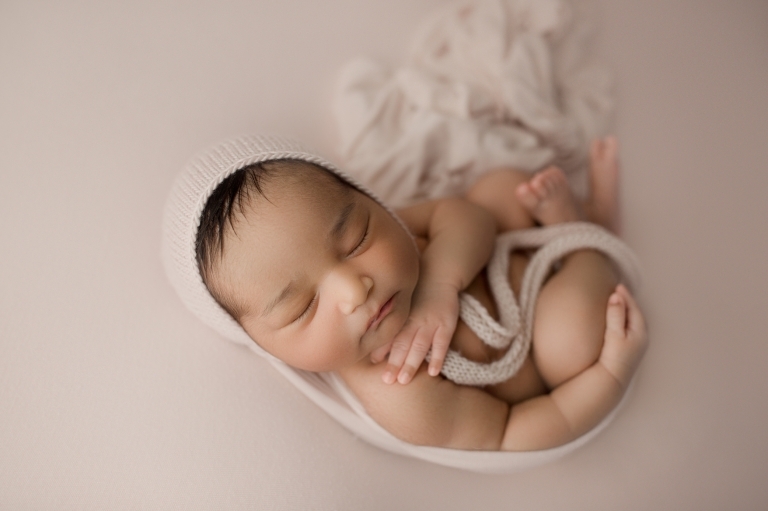 As a Puyallup Newborn Photographer, I’ve been lucky enough to get a lot of diversity amongst the families I photograph. It makes my job fresh, new and so enjoyable having all different cultures come into my baby studio! When mom arrived at their posed newborn session, I secretly did a little happy dance! She is one of THE prettiest baby girls that I have ever photographed! Her dark, thick hair, her perfectly pink cheeks and her delicate eyelashes had me swooning the entire session! This little girl melted into every pose I put her in too! Mom chose the perfect color for her skin tone and it couldn’t have highlighted her features any better! It really made her skin tone pop and her beautiful features stand out. 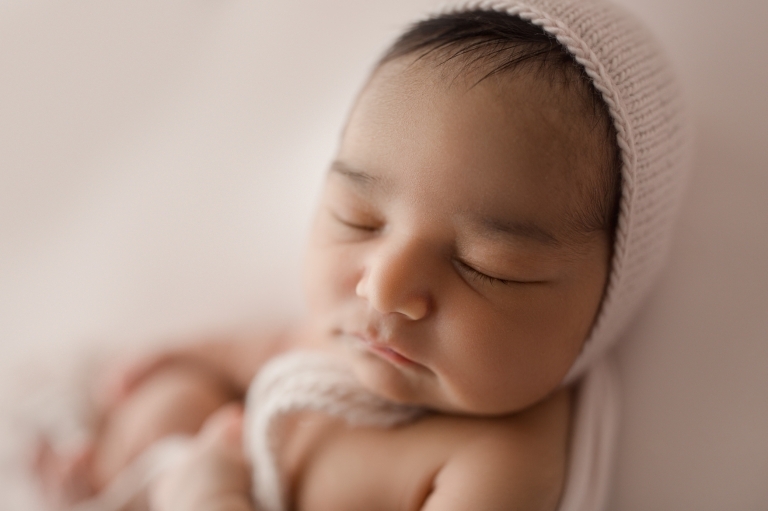 Blush pink is also such a delicate color for babies, as it really puts the focus on baby and creates a very natural look. I did quite a few relaxed poses in this baby session and they are truly my favorite! There’s just something beautiful about a baby falling into a pose and looking simply perfect! Every single pose I did with this baby girl was impeccable and there isn’t one image I don’t love!